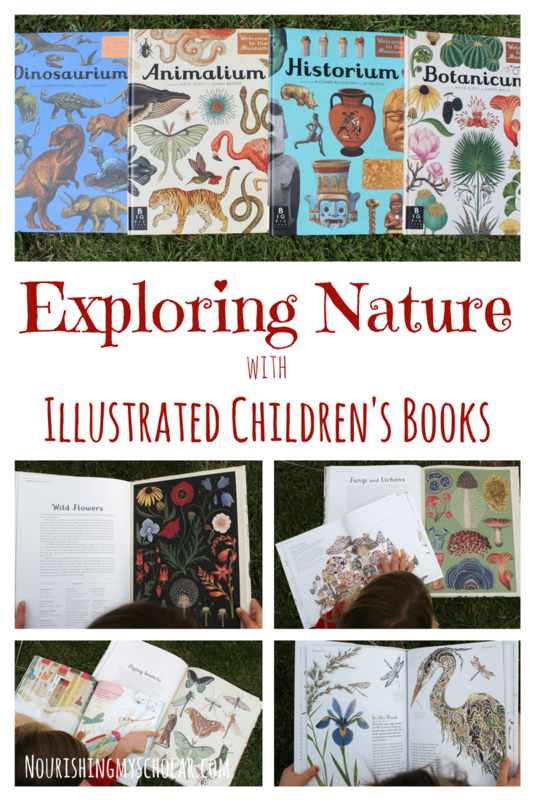 Illustrated children’s books are a perfect way for kids to explore nature! 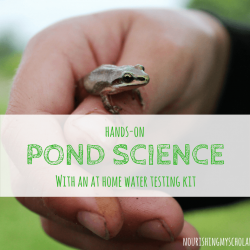 Let’s face it… we can’t always get outside for nature study. The weather may not cooperate, or someone may be feeling poorly. 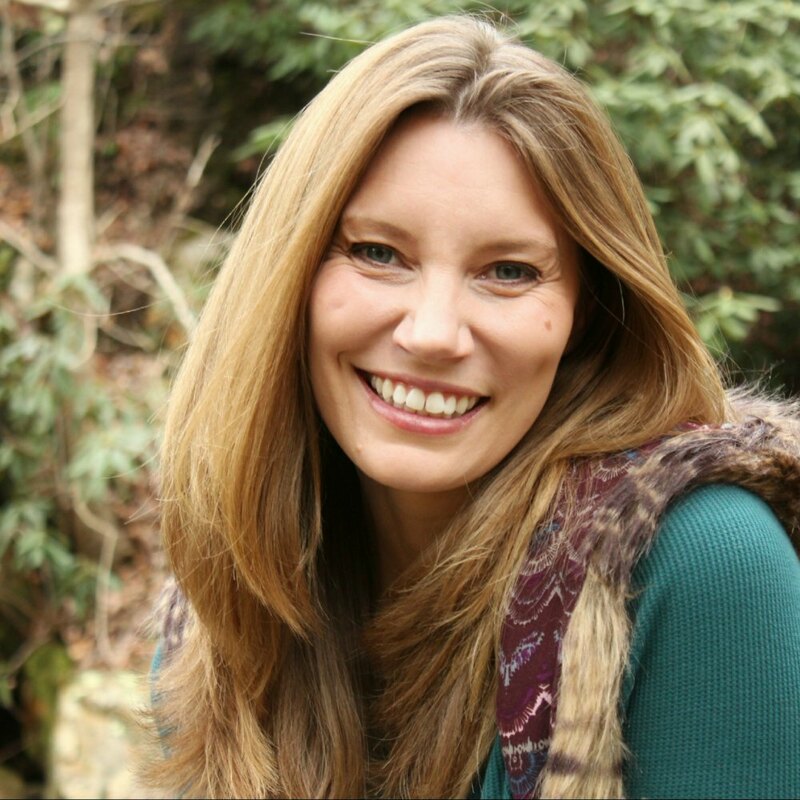 Maybe you have had a full day of hiking and exploring, and now your children want to extend their exploration of nature with books? 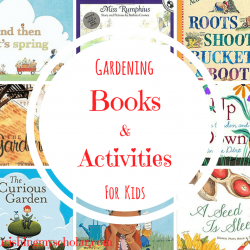 Or you may want to simply strew these fantastic books around your home and see where your children’s interests will lead. *Disclosure: This post may contain affiliate links. Please read my disclosure statement for more information. 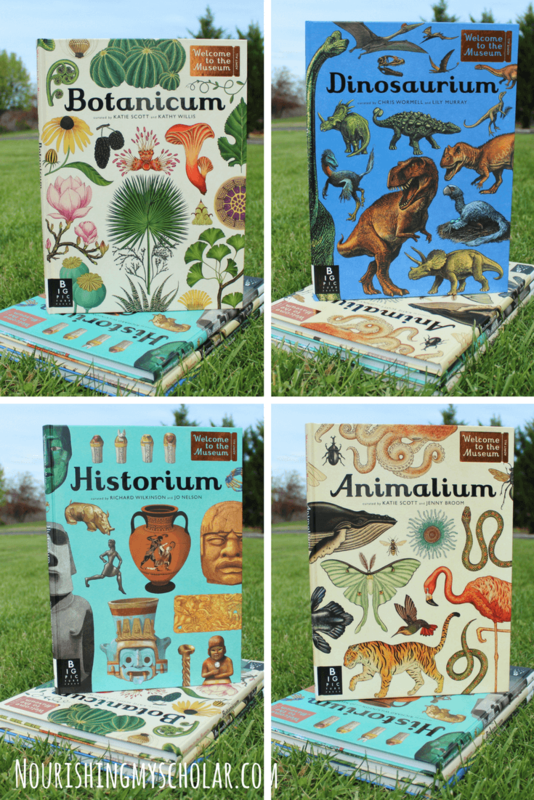 I received Botanicum, Dinosarium, Animalium, Historium, Drawn from Nature, Firefly July, and The Things I Love About Trees from Candlewick Press at no cost in exchange for a review and was compensated for my time. A positive review was not required. As always, all thoughts and opinions are my own. 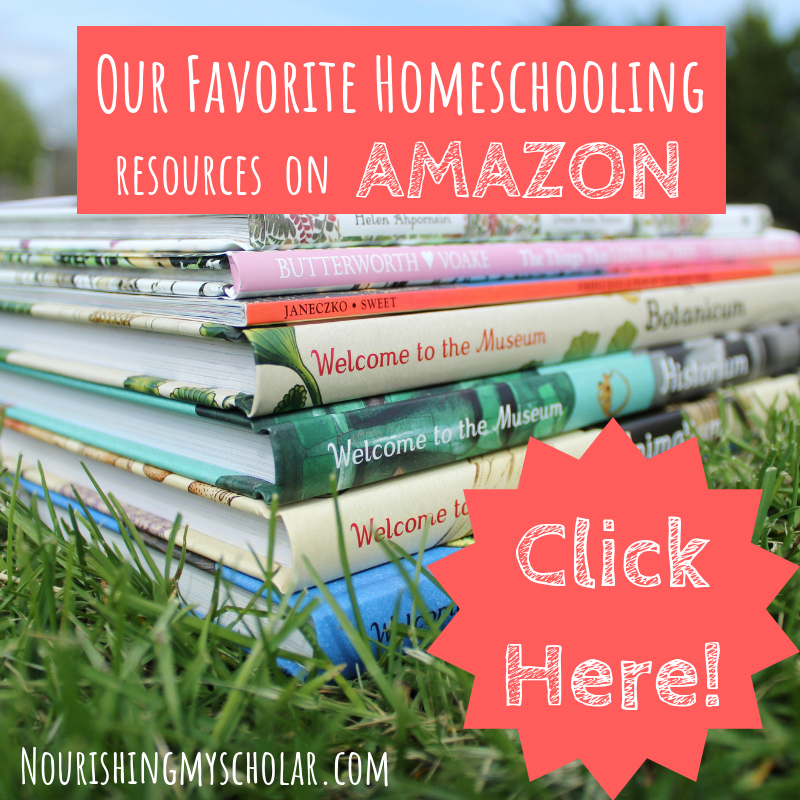 I only choose to share resources that I would use with my own family and those that I believe other families will enjoy. Folks, I have been secretly drooling over the “Welcome to the Museum” books from Candlewick Press for well over a year. 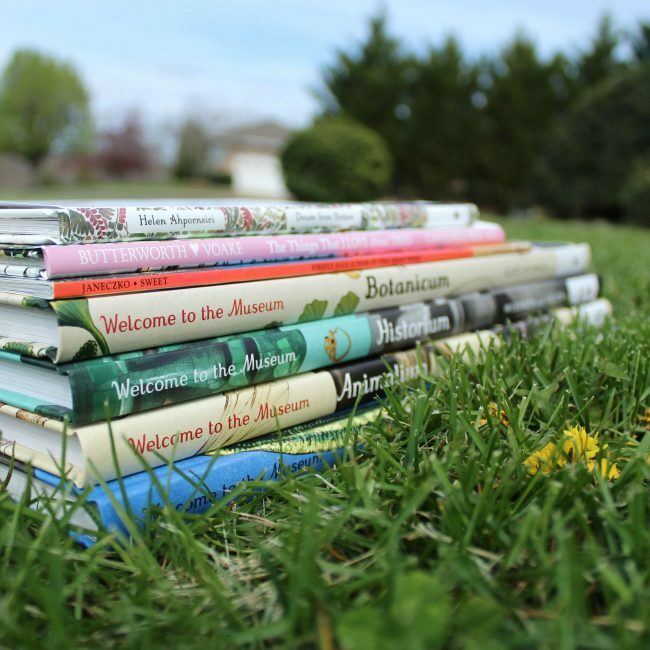 The “Welcome to the Museum” books are oversized and gift-worthy. 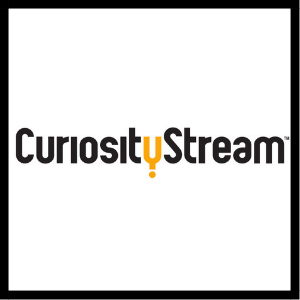 They offer oodles of interest led learning opportunities for kids and adults alike. No shame in our game. We are a family of book LOVERS! Every chance we get, we check these beautiful books out at our local library. It’s so easy to become completely immersed in the gorgeous illustrations and fascinating facts. When I got the opportunity to get my hands on our very own copies of these books, plus a few more to review…you bet your sweet biscuits I jumped at the chance! I may or may not have dashed across our living room squealing with joy…. 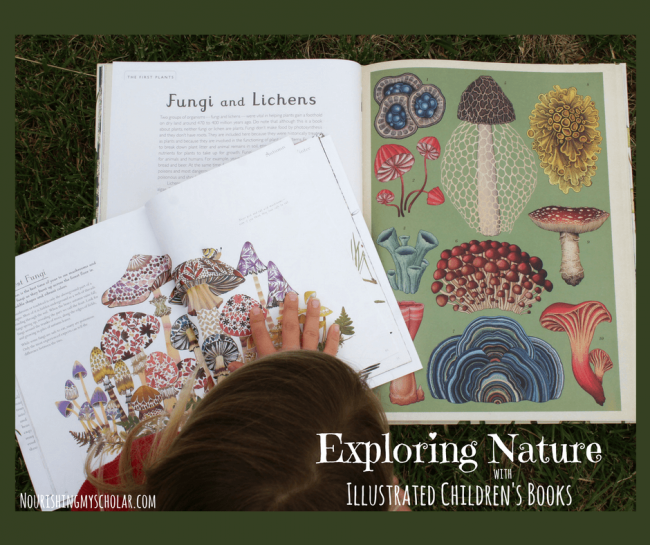 So, allow me to introduce you to these fabulous drool-worthy books and how we are using them to explore nature. The illustrations in ALL of these books really captured my children’s imaginations and pulled them in. Several times they disappeared behind the couch or into their bedrooms, totally absorbed in these beautiful books. 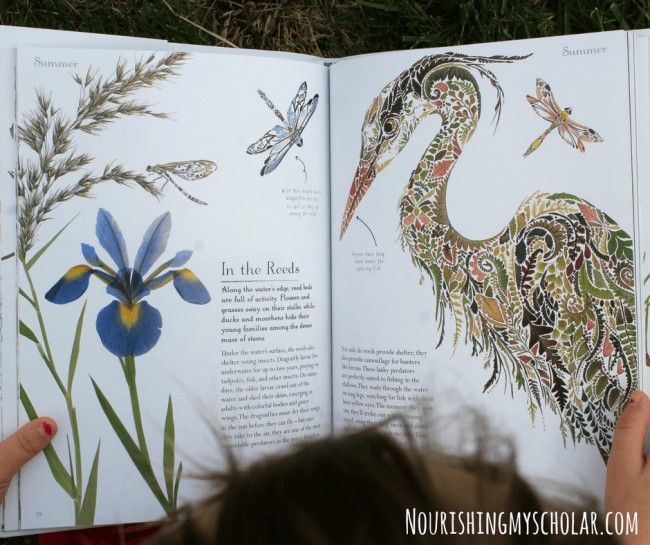 Botanicum is a swoon-worthy, oversized book brimming with stunning images and loads of information. Plants from all over the Earth are referenced from the weird and wonderful to the beautiful and simple. We compared the beautiful pressed petals and leaves of our Drawn from Nature Fungi with the different species of Fungi and Lichens from our Botanicum book. It was super easy to use both books together! Botanicum is also perfect for starting your own plant study! 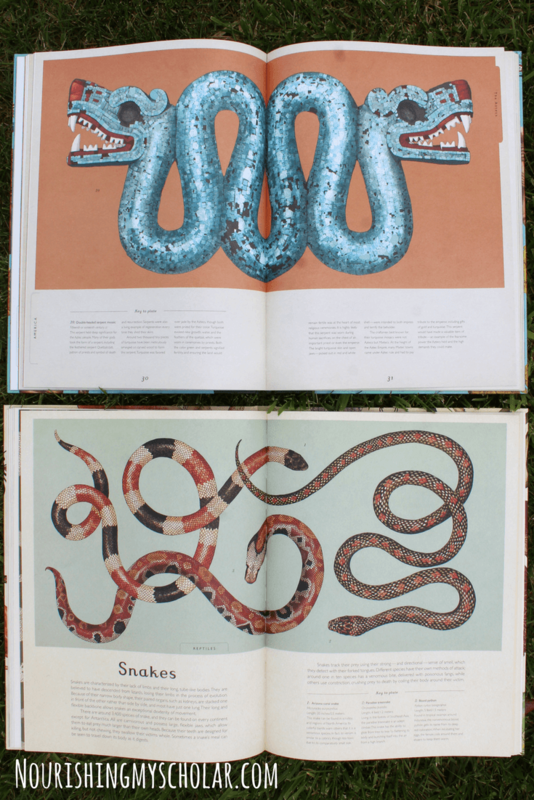 Animalium is another large book that is visually stunning. While studying insects in our Animalium book we pulled out our Firefly in July Poetry book and read poetry about insects. 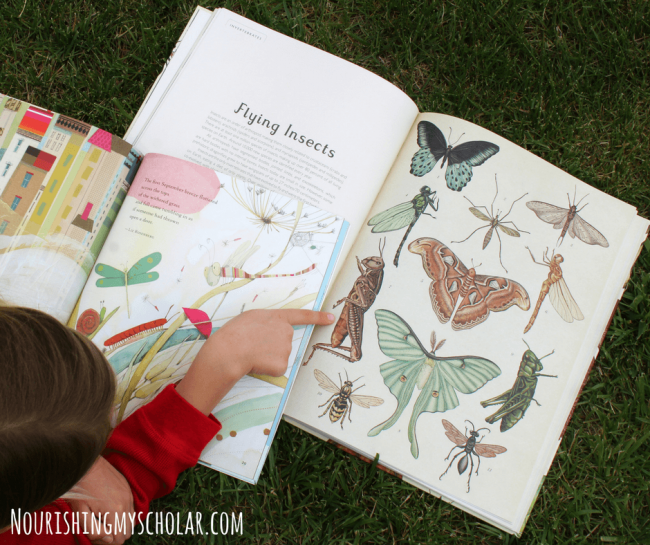 Our Drawn from Nature book also paired well with its pages on buds and bees, and butterflies and blossoms! I just love that all of these books work so well together! When studying snakes in the Animalium book we also dove into the history of serpents, and dragons in human history with Historium. 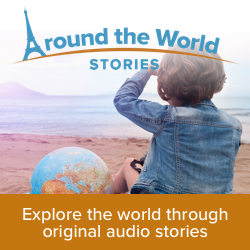 Each chapter of Historium offers high-interest, and visually stimulating photos of different cultures and civilizations. Below you can see my son comparing the significance of the double-headed serpent mosaic of the Aztecs to the chapter on snakes in the Animalium book. Both of my kids LOVE snakes! This also opened a fun rabbit hole of learning all about the Aztecs. It’s awesome when you can cover history and science in one fell swoop. Interest-led learning, folks! Dinosaurium offers gorgeous illustrations and facts for dinosaur and prehistoric lovers. 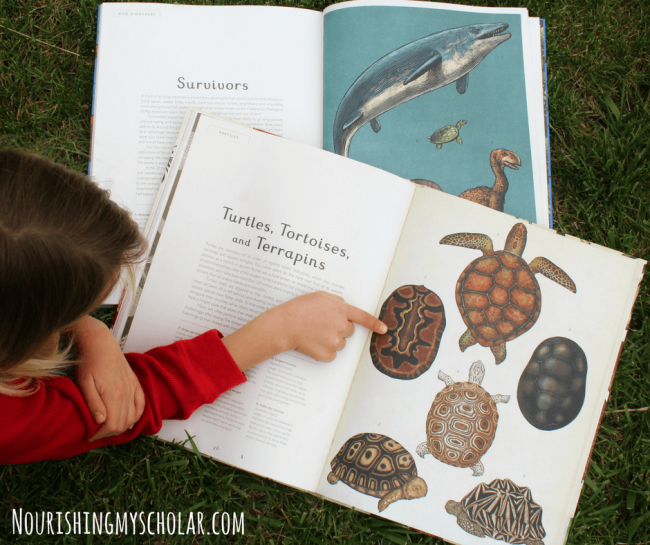 When studying reptiles, and turtles in Animalium, we also turned to Dinosaurium as it mentions survivors such as sharks, crocodiles, and turtles! My fella was in dino heaven as he browsed this awesome book. This book was a perfect addition to our Morning Time routine. Firefly July: A Year of Short Poems worked beautifully for our nature-inspired poetry tea time. 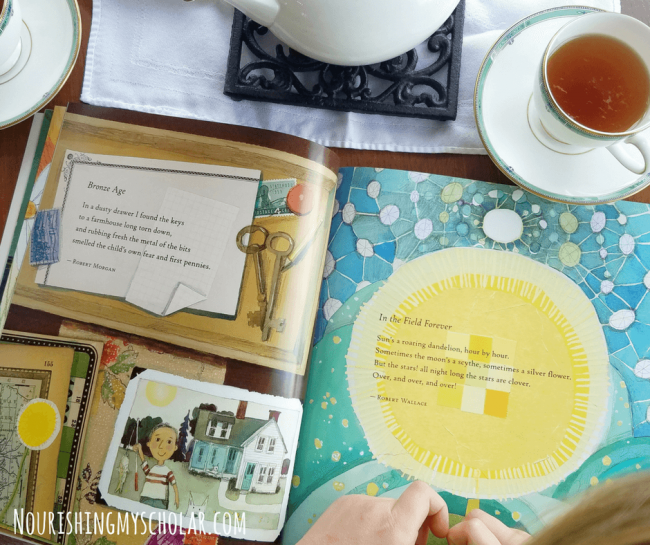 My kiddos adore poetry tea time as part of our Brave Writer lifestyle. This book is bright and cheerful. Plus, it offers 36 poems to coincide with the different seasons. The Things I Love About Trees journeys through the seasons describing what is loved about trees from buds and flowers to fall leaves and branches. 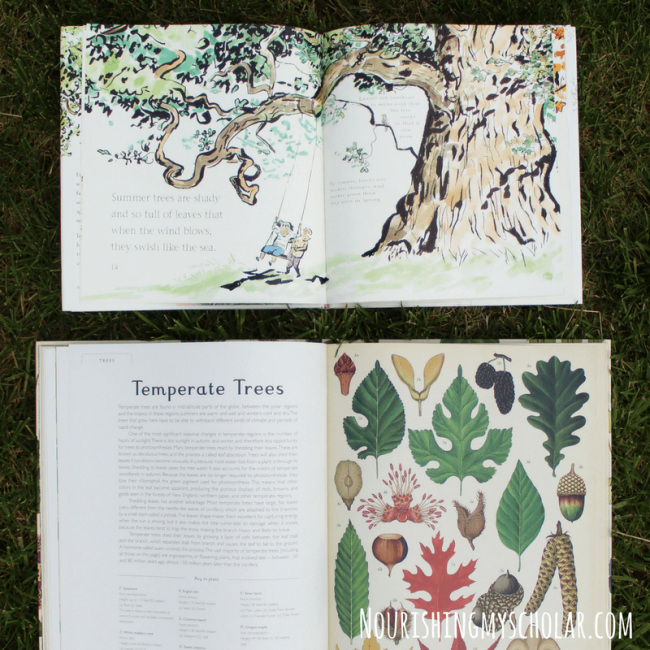 We combined this book with Botanicum as we learned more about temperate trees. 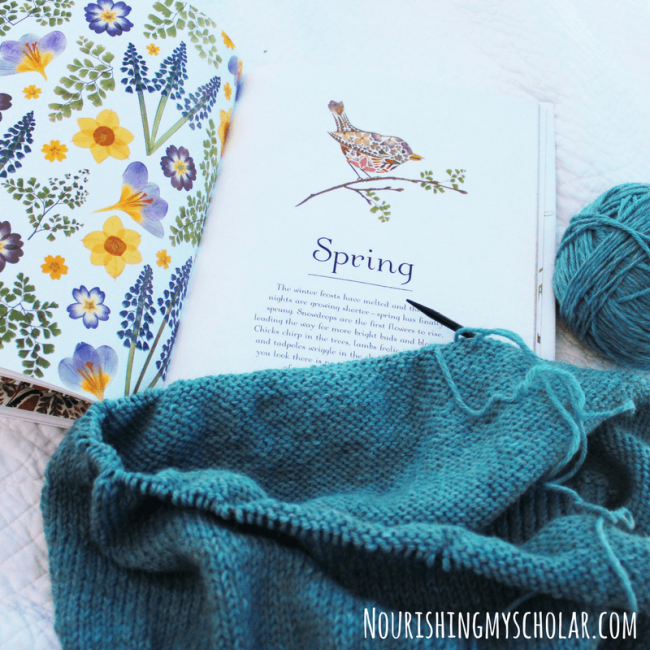 ALL these books are beautiful, and they have made nature study super simple this spring. 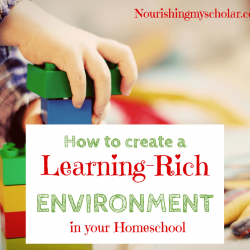 I love strewing them around our home and seeing what will peak my kiddos interests. 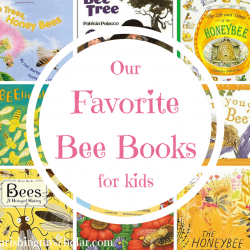 These books have quickly become family favorites. 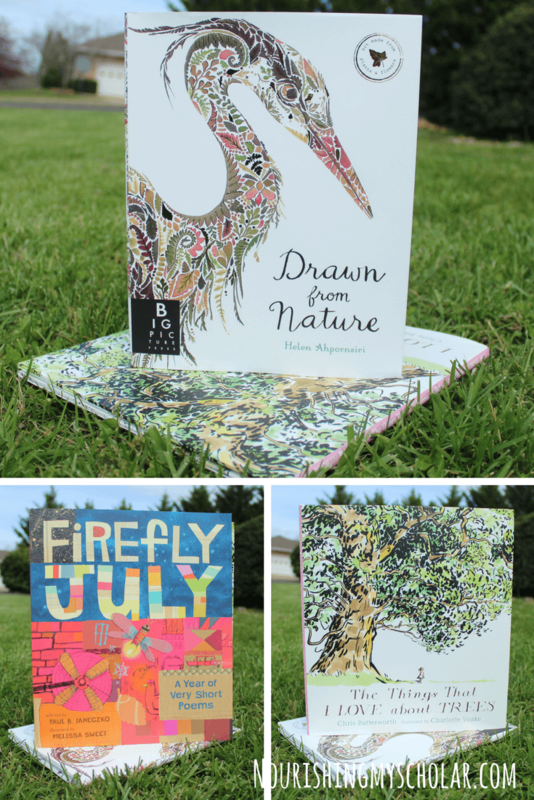 You can find all of these gorgeously illustrated nature books at Candlewick Press! Order from the Candlewick Press site and save 25% with discount code CANDLEWICK at checkout. 30 Winners will get Judy Moody #1 paperback. Open to US and Canada residents. Those all look lovely and book hoard worthy! I love nature (even more than I love dragons and books…)! Oh my goodness, those books are beautiful!